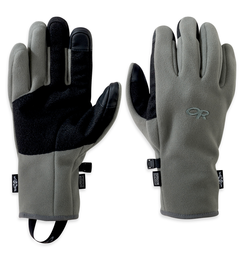 Wet cold hands are a huge limit to outdoor activities from staying home, cutting short, to real danger. 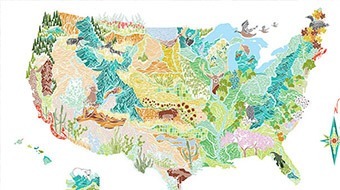 I live in the upstate NY snow belt. Our October to May weather is based on the NW wind coming across Lake Ontario. Precipitation is our thing. Snow and by the foot, rain by inch, with big temp and wind variation. Samuel Clement's wrote about the area as "If you don't like the weather wait five minutes it'll change." 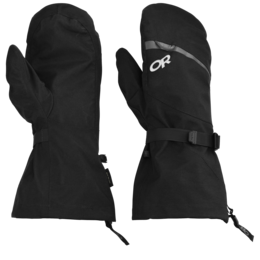 This mitt shell allows you to layer with your favorite gloves and mittens to cover the temperature and the Shuck takes care of the rest. Get'm! 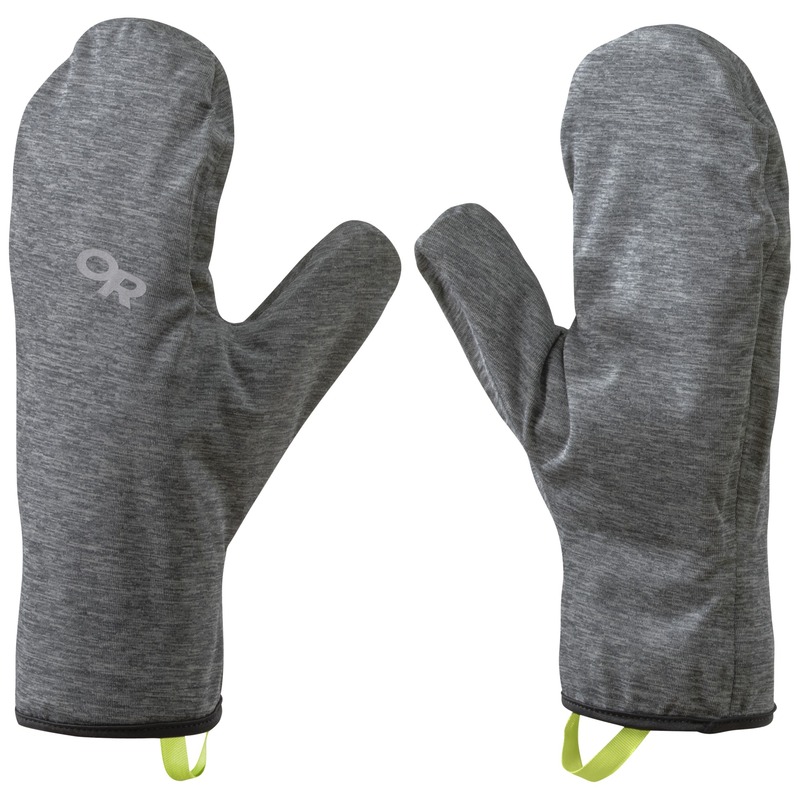 Note: Don't let the oven mitt looks through you off. 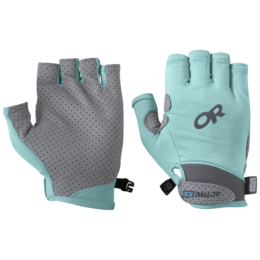 It really helps at getting some extra air flow through your layering system like vents in a hard shell jacket..
Super disappointed in these mitts. While they are very windproof, when I wore them in rainy weather they were soaked through in less than 30 minutes. Maybe would retain more waterproofness in snow or light drizzle, but not in actual rain. Very disappointing. Aw shucks, I like them too! 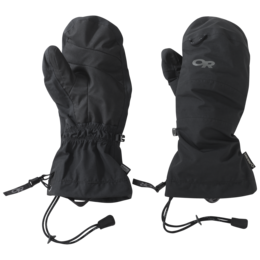 Great solution for rain and snow in those shoulder season backpacking trips. 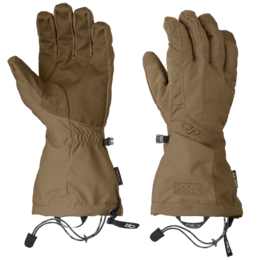 I used mine in Alaska in June on rain-soaked days and they generally kept the hands dry and warm(er). 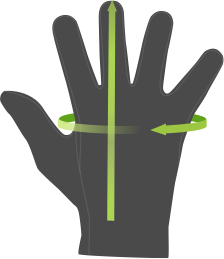 The DWR is pretty effective if you're just walking, but it you use your hands much (I.e. camp chores, tent setup, etc.) It seems to very quickly override the repellency. Still kept hands pretty dry, but the fabric gets heavier and freezing nights meant crispy gloves. 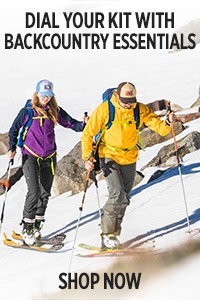 Overall a solid product for niche uses, but I spend 30-90 days a year in the Backcountry, so they've been amazing for me in AK and the PNW. Great shell to wear over the Transcendent mitts. Lightweight - but not ultralight. Fairly rugged. I carry them in temperate weather when it turns windier/colder. For the winter and personal use, I also keep them in the car when I need to clear it from snow. 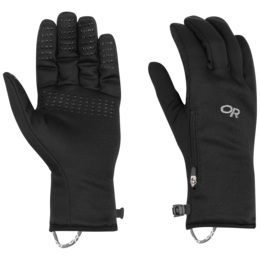 Perfect over-mitts for stuffing into a convenient pocket, and adding over a pair of gloves when conditions deteriorate. 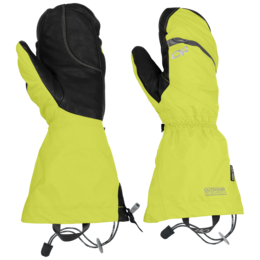 Great flexibility of kit - works for wet weather as well, and super-lightweight. 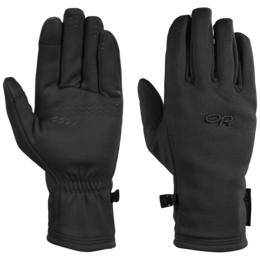 Great lightweight, versatile shell mitt. I will use for "ultra" light hunting and backpacking. I have been looking for a layer like this a long time and am a 30 year technical adventurer. My only con is size (L/XL is small for layering) and I didn't see an OR insulating liner to go with it (I am making do with some old wool mitt liners). 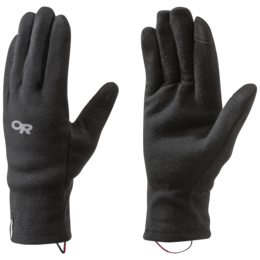 Paired with simple, mid weight fleece (or merino) this system would be (is) "revolutionary" for keeping hands warm and dry to "darn cold" and both layers could dry quickly inside a jacket or sleeping bag. Nice work on this piece! 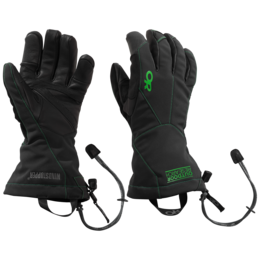 Don't shuck your responsibility, do get these gloves. 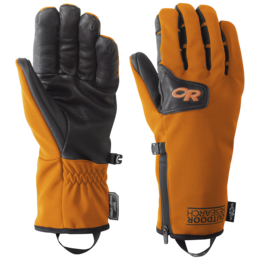 Overall an excellent lightweight over-mitt that provides some good weather protection in the occasional storm. 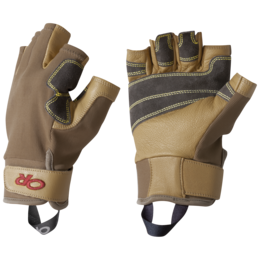 Fits well over a thick liner glove, but is bulky if using only a thin liner. 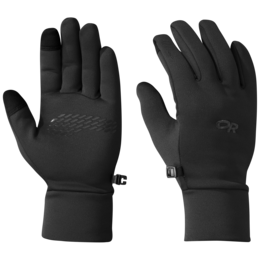 I used mine with the PL150 fleece gloves and the fit was OK, then I used it with the PL400 mitts and the fit was much better. 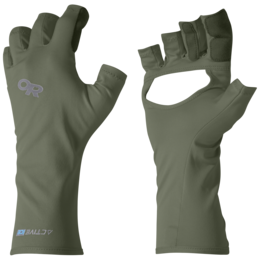 The fabric has nice stretch to it, but is an interesting texture that is alright for grip, but seems to have very limited DWR ability, making the gloves wet out fairly quickly. While I didn't notice wet hands inside, this was a pain in trying to keep the mitts dry and/or not frozen. 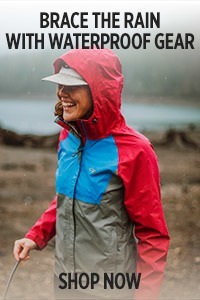 Perfect solution to running or hiking in chilly rain. 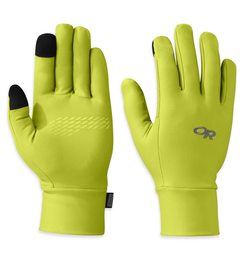 Got these to use over liner gloves for trail running in downpours. They work well. 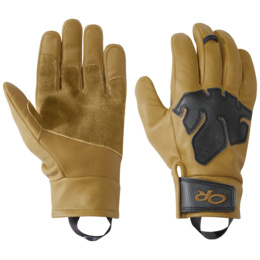 Gloves don't end up getting wet after three hours in steady rain. Awesome. 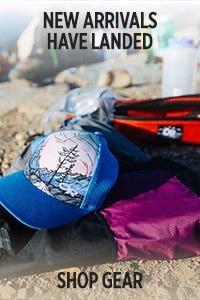 You know that ultralight rain shell that's your favorite piece of backpacking gear? 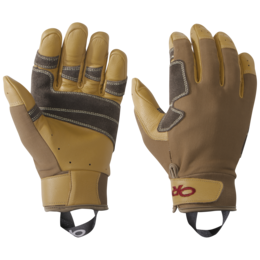 These mitts are like that...but for your hands! At barely over an ounce, there's no reason for me not to take them out on any three-season adventure. I bought these after using a similar, lighter-weight product that was not waterproof from a different brand. I had always wished those were waterproof so was very excited to try these. I love them! 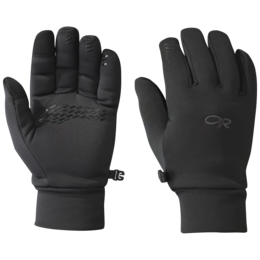 Have been using them on mountain bike rides in 15-30 degree weather over the Gripper gloves. 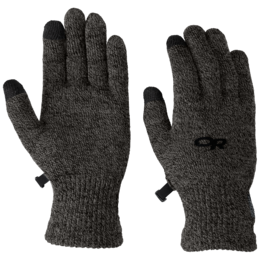 I am able to shed them and them put them back on when my hands heat up / get cold, and they are just perfect. 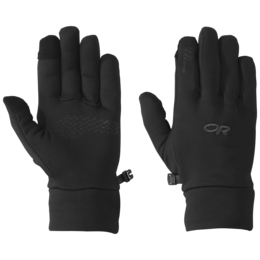 As soon as I put them on, even over another windproof item, it immediately makes my hands warmer. I am tempted to buy another pair to hoard in case these ever go off the market. They are supple and comfortable. 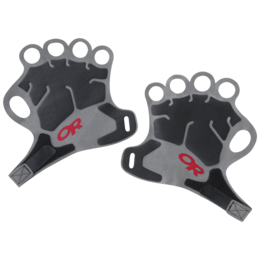 And the pull-on loops are awesome.